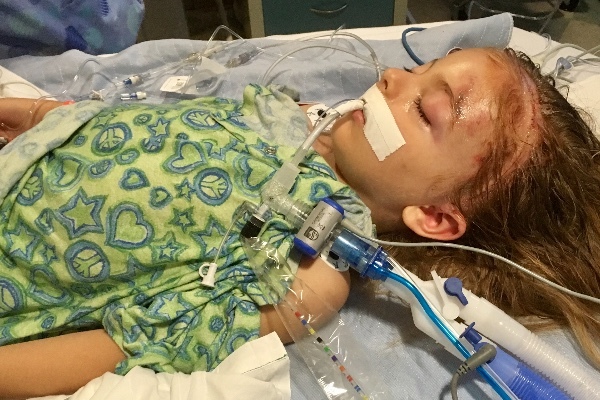 A drunk illegal immigrant – who was deported 15 times by immigration officers – allegedly crashed into the car of a family driving home from Disneyland severely injuring a small boy. The suspect fled the scene over the weekend and apparently illegally re-entered the country again after being deported in January. The illegal is alleged to have severely injured a six-year-old boy. The collision occurred in San Ysidro, a district in San Diego, California, The San Diego Union-Tribune reported. San Ysidro is north of the U.S.-Mexico border and is an area where illegal immigrants frequently cross the border. The family was just one block from their home when the crash occurred, the local Fox affiliate reported. “I just really care about bringing him home and making sure he’s happy again,” he said. The news outlet reported that Lake forced back tears during the interview. The suspect, Constantino Banda-Acosta, 38, was removed by immigration officers back in January of 2017. He left the scene of the accident and almost immediately a Border Patrol agent arrived to survey the situation. They apparently arrested the passenger in the vehicle who is currently being processed for removal proceedings. You can view the family’s GoFundMe here and help them with their medical expenses if you can.